Grapefruit seed extract is derived from the seeds and pulp of the grapefruit. Grapefruit seed extract is purported to have antiviral, antibacterial, antifungal and anti-parasitic properties and it is used both orally and topically for a variety of health promoting purposes. As with any nutritional supplement, you should talk to your healthcare practitioner before taking grapefruit seed extract orally. In addition to its antimicrobial properties, Vanderbilt University states that grapefruit seed extract helps to promote detoxification and enhance immune system function. It also helps to raise the PH level of the blood and thereby alkalizes it. This is important because disease causing microorganisms such as viruses and bacteria, cannot survive in an alkaline environment and many degenerative diseases are associated with an acidic PH level. Grapefruit seed extract also has antioxidant properties and it helps to reduce free radical destruction and death to your cells and DNA. 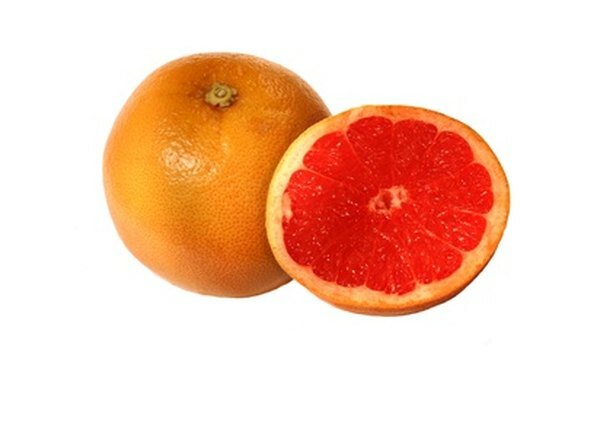 Grapefruit seed extract is used orally to help treat the common cold, flu, herpes, fungal infections such as candida, vaginal yeast infections, and parasitic infections such as giardia lambia. It is also used to help treat gastrointestinal disorders, irritable bowel syndrome, sinusitis, diarrhea and food poisoning. More research needs to be done to confirm the efficacy of oral grape seed extract for these purposes however. Grapefruit seed has numerous external benefits. It is used topically as a facial cleanser to tone the skin, reduce oil and help treat acne and eczema. It is also used to promote hair growth, reduce muscle fatigue and treat athlete’s foot and nail fungus. In addition, it is used to disinfect, and promote the healing of, cuts and wounds. “Natural Medicines Comprehensive Database” notes that it can also be used as a vaginal douche for the treatment of vaginal infections and as an ear and nasal rinse to prevent and treat ear and nose infections. Finally, it is used as an oral rinse to sooth sore throats, prevent gingivitis, promote healthy gums and freshen the breath. Grapefruit seed extract is available in pill, powder and liquid form. The recommended dose of grapefruit seed extract for general health promoting purposes is 10 to 20 drops of liquid or 200 mg of powder or pills, three times daily. There are no serious adverse side effects reported from grapefruit seed extract, however it may interact with certain medication such as statin drugs.